Here at InnovaMed, we specialize in assisting our patients through their migraine pain. We are proud to serve Durham and the surrounding communities. Unfortunately, many people suffer from migraines. Migraines are throbbing headaches that are often presaged by fuzzy eyesight, sensitivity to light and sound, and even vomiting. Although migraines are linked to stress, many people have found going to the chiropractor has helped relieve their migraine problems immensely. 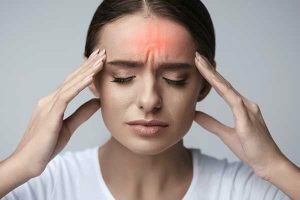 Patients with migraine problems also typically have neck pain issues, a family history of migraines, and nasal congestion. Since migraines are not fun for anyone, it is no wonder so many people look for relief. Chiropractic treatment has helped so many people get rid of their migraines, even for good! Prior to treatment, our educated and compassionate chiropractor will also take you through a physical exam to ensure that there are no other reasons behind your pain. After this, we start by trying sensitive trigger points in your lower neck and upper back muscles. By stimulating these areas, the migraine symptoms will actually start to go away. The success of this and the severity of your pain will determine what further treatment will be required. We will also go over your sleep patterns and overall health. Sometimes this plays a role in your migraine problems. Our entire staff is always smiling and wanting to go the extra mile. We understand how migraines are not only painful but can also cause you to miss work and not enjoy your days. We work at not just addressing the migraine but actually fixing your body so that you never deal with this problem again. We are always here to answer your questions. No question is ever too silly for us. We want you to be healthy and will do whatever we can to assist you with this. The moment you enter our office, you will be greeted by our friendly receptionist. The entire time you are in our office, you will be in caring hands. If you have any questions or suffer from migraines, contact us today at (919) 887-2660.